The European Union stepped up pressure on Britain to approve its Brexit deal by ruling out the prospect of piecemeal negotiations on aspects of the divorce to avoid the U.K. crashing out without an agreement. If the U.K. Parliament fails to ratify the withdrawal treaty before the country’s scheduled leaving date of March 29, the EU won’t seek a “managed no-deal,” according to an EU official. Instead, it will take unilateral steps to protect its interests, putting in place a bare minimum of emergency measures, and only if the U.K. reciprocates with its own actions, the person said. Some of the plans are due to be published later this week. With Prime Minister Theresa May struggling to get lawmakers’ approval of an agreement that’s taken 18 months to negotiate, some pro-Brexit members of her cabinet have suggested that a managed no deal could be a workable alternative. Others say it would be catastrophic. Foreign Secretary Jeremy Hunt told the Sunday Telegraph this weekend that the U.K. would “flourish and prosper” even in the case of a no-deal Brexit. Ministers are due to discuss contingency plans on Tuesday. The EU is preparing no-deal measures in eight areas. The European Commission will say that steps generally won’t last longer than until the end of 2019, when it publishes details of proposed EU legislation on Wednesday. • Aviation: The EU will allow airliners from the U.K. to fly over the EU, land in the EU and fly back to the U.K, and make refueling stops in the EU. • Financial services: The EU would allow the U.K.’s derivatives clearinghouses to continue serving banks in the bloc — under a so-called equivalence arrangement — for 12 months after Brexit in the case of no deal. • Customs: The EU will levy duties and taxes on U.K. goods and is stepping up arrangements to carry out customs checks at entry points from the U.K.
• Road transport: Permits will still be given to U.K. truck drivers but these would be far more restricted than is currently the case under EU membership. • Climate policy: EU climate change legislation won’t apply to the U.K. The Commission will take steps to ensure its emissions trading system isn’t affected. 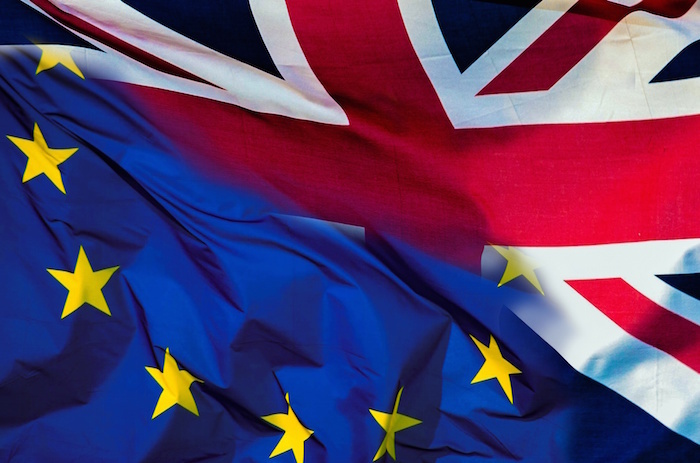 • Rights of citizens: The EU will say it is taking a “generous” approach to British citizens living in one of its 27 countries at the moment of Brexit and will enable them to obtain long-term residency status if they fulfill the necessary conditions. • Livestock and animal products: The EU hopes to allow the import of live animals and animal products from the U.K. as long as the country meets sanitary standards. Disruption will be expected, however, because new checks will have to take place on entry into the EU. • Personal data: If the U.K. leaves the EU with no deal, the country will be governed by the rules covering international transfers, which makes it far more difficult to exchange personal data. The U.K. has also issued a wave of no-deal contingency plans in recent months. Speaking in the House of Commons on Monday, May said measures were being intensified.